← Honeybee cardigan, THIS close! When I tried on my cardigan last night, it did not look good. 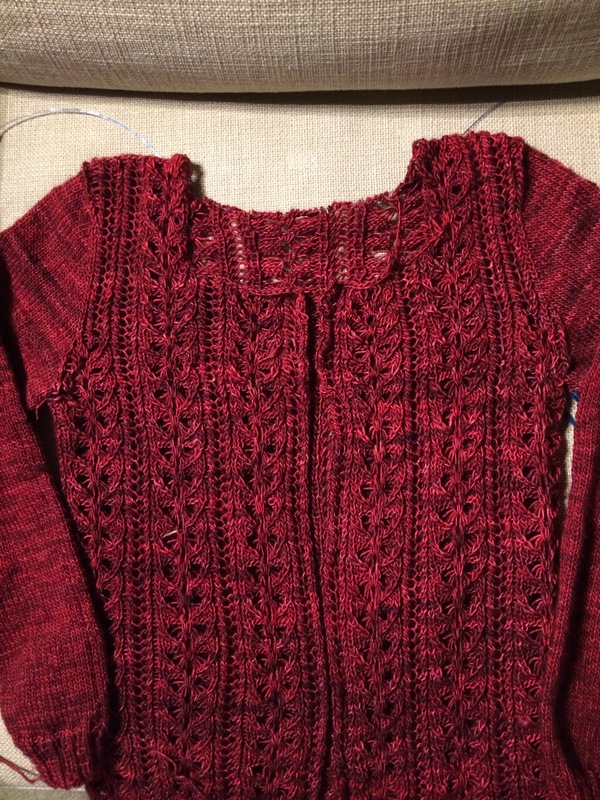 It looked way too low, and with some trepidation, I I powered through the neck and shoulder short rows. Luckily, it worked! It fits and looks nice. 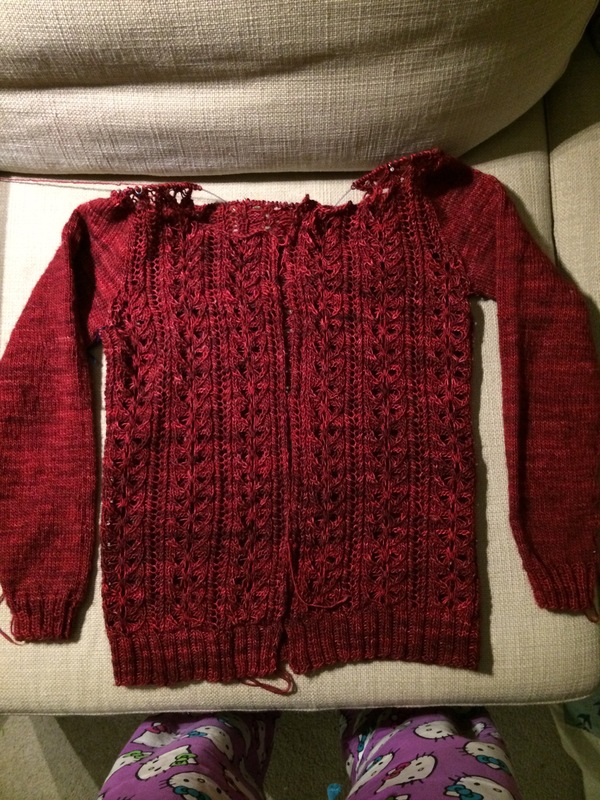 The only trouble is that I did one of the 3-needle bind offs backward, and I need to fix it. Otherwise, yay!!! So pretty! Enjoy your new garment!